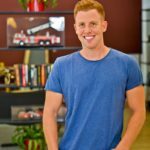 Cape Town and Johannesburg based media owner, Hubble, is Uber’s preferred in-vehicle interactive entertainment partner, providing real Return on Investment (ROI) through a unique Depth of Engagement. As marketing and advertising budgets are becoming even more pressurised, brands are realising that reach and frequency – the traditional advertising metrics, are no longer the be-all and end-all. Rather, it’s having meaningful and deeper engagements with individual consumers that are becoming increasingly important. 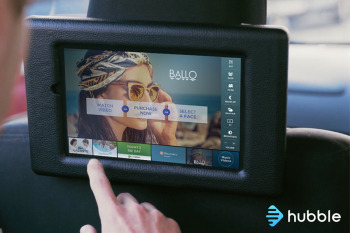 “We have tapped into this global trend by enabling brands to have a deeper engagement with riders through our interactive in-vehicle entertainment touch screens in Uber vehicles,” says David Taitz, Commercial Director at Hubble. Out of Home (OOH) advertising has always been considered a ‘one-to-many’ form of communication, but that’s no longer the case. In today’s world the consumer is looking for intimate engagement, with relevant information, at a time and place suited to them. Technology has provided Hubble with the opportunity to engage with these top-end consumers at a time when they are more relaxed and more receptive to a brand’s message. The fully interactive advertising platform offers high quality video and interactive content in a captive environment with measurable ROI. During a recent campaign, BMW ran video and interactive campaign elements to launch their all new 5-Series. Uber riders were treated to four different creative elements on an interactive touch screen, which included the opportunity for riders to configure the new 5-Series, culminating in an option to book a test drive. Besides incredible interest shown in the campaign and the 15.1% interaction rate (compared to typical digital rates of less than 0.2%1), over 200 test drives were booked over a period of two months. Statistics have shown the level of engagement on Hubble’s screens to be 75 times higher than traditional digital advertising and marketers have a variety of advertising options to choose from. These include category exclusive brand channels and sponsored content and flighted, TV styled adverts between entertainment content. Another unique aspect is that the user is always in control, virtually guaranteeing a positive experience from interested passengers. “The ultimate end goal is to create real value for the Uber rider and provide advertisers with a communication platform that has real, and deep engagements with tech-savvy early adopters,” concludes Taitz.